Second Age Kitten Sterilised Food comes packed with a formula containing moderate levels of fat to help limit weight gain with no compromise on the intake of protein, calcium and phosphorous for a healthy growth. Helps support the 2nd age of kitten's natural defences thanks to a patented complex of antioxidants including Vitamin E. Enhanced digestive tolerance thanks to highly digestible protein (L.I.P*) and prebiotics (including FOS-MOS). Suitable for neutered Kittens from 6 months - 1 year. Growth & Weight Control. Immune System Support. Digestive Health. Dehydrated poultry protein, rice, vegetable fibres, vegetable protein isolate*, maize, animal fats, maize gluten, hydrolysed animal proteins, beet pulp, yeasts and parts thereof, soya oil, fish oil, minerals, fructo-oligo-saccharides (0,34%), psyllium husks and seeds, hydrolysed yeast (source of manno-oligo-saccharides), marigold extract (source of lutein). 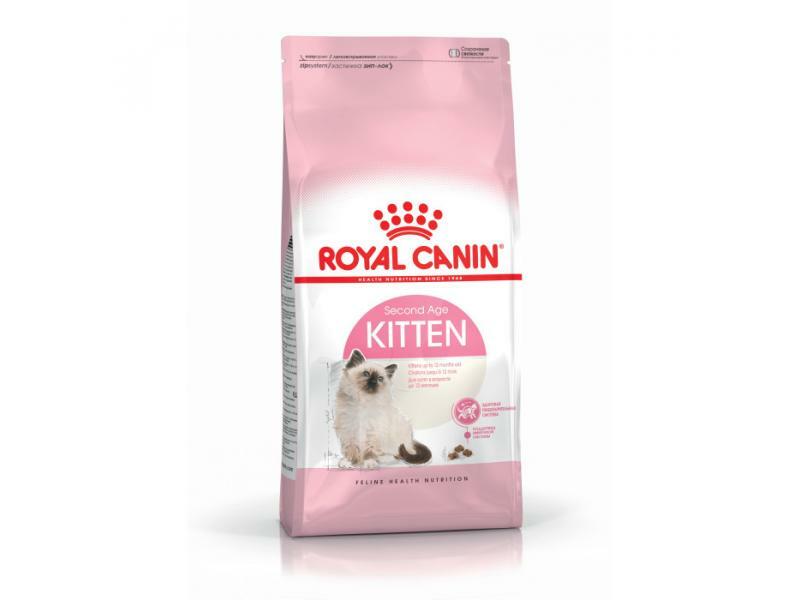 There are currently no questions for Royal Canin Feline Health Nutrition Second Age Kitten Sterilised Food - be the first to ask one!